Spring is here, which at Slime means the season of blue. And I don’t mean that we all get mopey because we are stuck at our desks, rather than having adventures on the trails and sand dunes right outside our office (well, there might be a tiny bit of that!). We consider Spring “blue” at Slime because it means we get to focus on our blue label tire sealant! 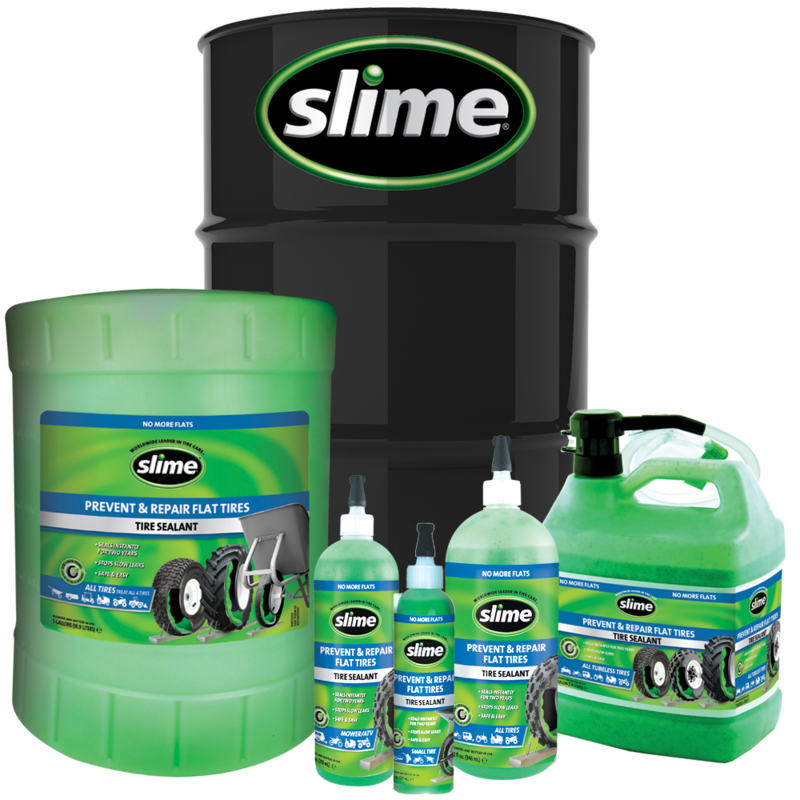 Let me explain: The Slime blue label prevent and repair tire sealant is designed to keep the fun going in all your recreational vehicles. 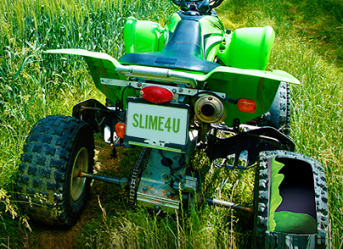 Your ATVs, quads, boat trailers, dirt bikes and other non-highway tires without tubes are going to love this Slime tire sealant that prevents and repair flats. The blue label tire sealant instantly seals punctures up to ¼, continuously seals for two years and stops slow leaks. Additionally, the blue label sealant is safe for finished metal wheels and is TPMS safe. As you dust off your bike, pull out the lawn mower, check the trailer and pull the cover off your ATV, you need to be sure and check your tires. Are any of them cracked? What about slow leaks? No one wants tire problems that ruin their fun. So don’t wait until your ATV flats on the sand dunes, or your boat trailer flats before you make it to the dock – Make this Spring “blue” and put Slime in your tires BEFORE you go out to play. No more flats with Slime!